Atwood Magazine is excited to announce Time Machine, a column in which we take a fresh look at older music. We believe that in order to appreciate the “music of today,” it’s important to have an understanding of what so many artists are inspired by, and what they listened to growing up. Having that knowledge not only makes it a lot more fulfilling when it comes to talking about music theory and deconstructing what these songs are really about, but it also lets music work its magic in connecting people across generations. 1973 — the year the Sydney Opera House opened, Northern Ireland votes to remain a part of the UK, the US launches their first space station Skylab, and the Sears Tower opens in Chicago. It was also the year that Elton John and his co-songwriter Bernie Taupin released “Goodbye Yellow Brick Road.” At the time, John was living deep in the high life, and it can be said that this song is more relevant to Bernie than to John, since he eventually embodied what “Goodbye Yellow Brick Road” is saying more than John did. Although Taupin’s farewell from working with John didn’t happen right away, eventually, Taupin did take a short break from living the high life. Taupin only went back to his plough for two years, and eventually collaborated with John again. But let’s dig into the song. When are you going to come down? signifies the speaker’s want to be able to live the simpler life, despite the fact that they are not sure how exactly to get back to that. Then in the chorus, the lyrics touch on the social opposites: The sophisticated life in a penthouse versus the farm life. The mention of a plough alone is a metaphor: Instead of planting in a penthouse, the plough does the opposite of plant, and turns the ground over. Bringing up a plough in the second verse represents the whole idea of the song. A plough turns up the earth (in an area of land) before sowing. Instead of being metaphorically planted and growing in the fame industry, the speaker would rather go uproot everything he’s worked for to this point and get back to the simpler life; his roots. “Goodbye Yellow Brick Road” serves as a social code for the life of fame versus the simple farm life. But, in their own ways, each life is complicated. What the speaker is really trying to say is something most of us can agree with: things were easier when we were younger, and we didn’t realize how good it really was until we grew up and actually had to start contributing to society. Understandably, it can be even more stressful when the world is watching you (as they do with John and his cohorts). It’s hard to talk about song without discussing the rest of the album at least a little bit. 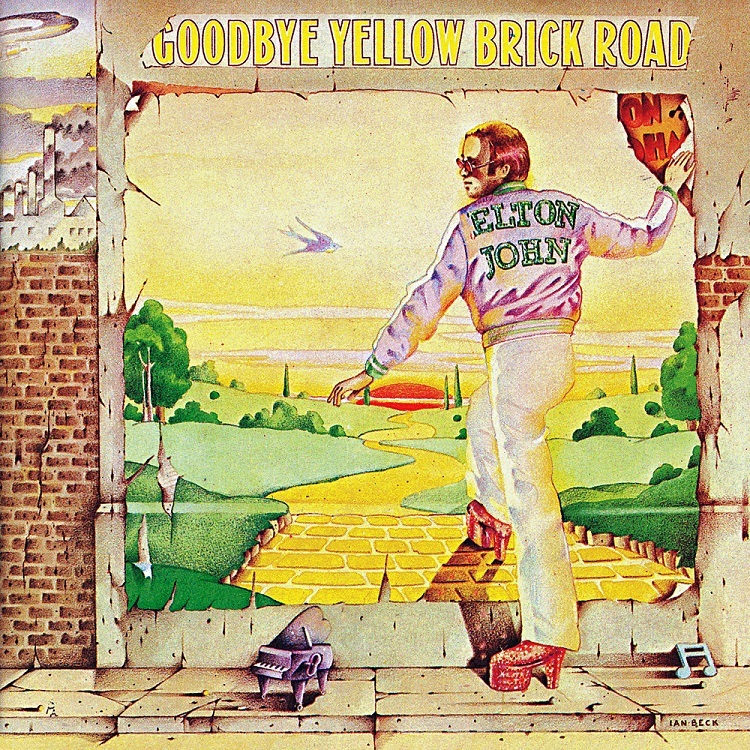 “Goodbye Yellow Brick Road” is the fourth track on the record, and sits among other mega hits from Elton John including “Candle in the Wind,” “Bennie and the Jets,” and “Saturday Night’s Alright for Fighting.” “Goodbye Yellow Brick Road” follows the sad outlook on fame and its tragedies heard in “Candle in the Wind,” but instead this single focuses on an individual who sees the costs of losing one’s self to fame, and that individual chooses to revert back to the simpler life. When you first think of Elton John, you might not think of someone who regrets being famous. It’s hard to picture the man behind so much success as an average-Joe in blue jeans, toiling away on the farm. Maybe that’s why the song rose in popularity: The idea of John leaving his fame and fortune behind worked the opposite way for those considered “middle class” citizens. If Elton John can elect to leave the fame and fortune, maybe I can elect to come into fame and fortune. Or, the idea that someone of that caliber in talent would even be remotely interested in an average life. Hey, maybe being average isn’t so bad after all.